You will need to complete an M.P.336(b) “Emigration: Application For Foreign Capital Allowance” form and provide SARS with a certified copy. 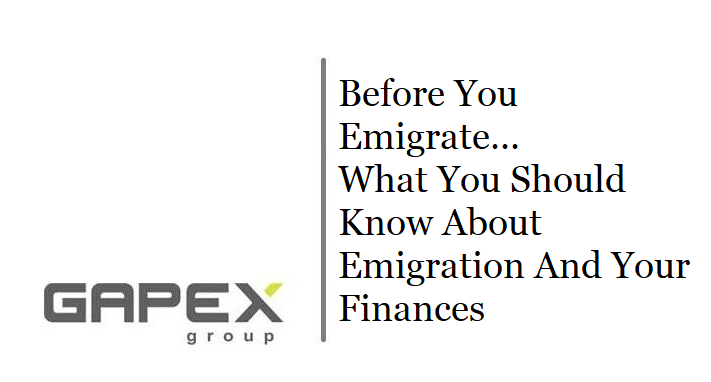 This will provide you with an Emigration Tax Clearance Certificate (IT21 (a)) from SARS. You can download this form on the website of the South African Reserve Bank. You will also need to submit to your bank the completed M.P.336(b) form and, where applicable, the Tax Clearance Certificate. You would also have to submit any other documentation as required by the M.P.336(b) form, which could include a copy of your Permanent Residence Permit if you have been granted permanent residence overseas. Please keep in mind that it would not be necessary for you to obtain a Tax Clearance Certificate if you have permanently lived outside South Africa for longer than five years and if you do not have any assets other than insurance policies or an inheritance. Foreign Capital Allowance – With this allowance, you can move R10 million per calendar year as an adult individual or R20 million per calendar year as a family. If you are emigrating and want to relieve some of your emigration stress, at least the financial side of it, then get in touch with Grant and Peter right away by filling out the form on the Contact Us page.